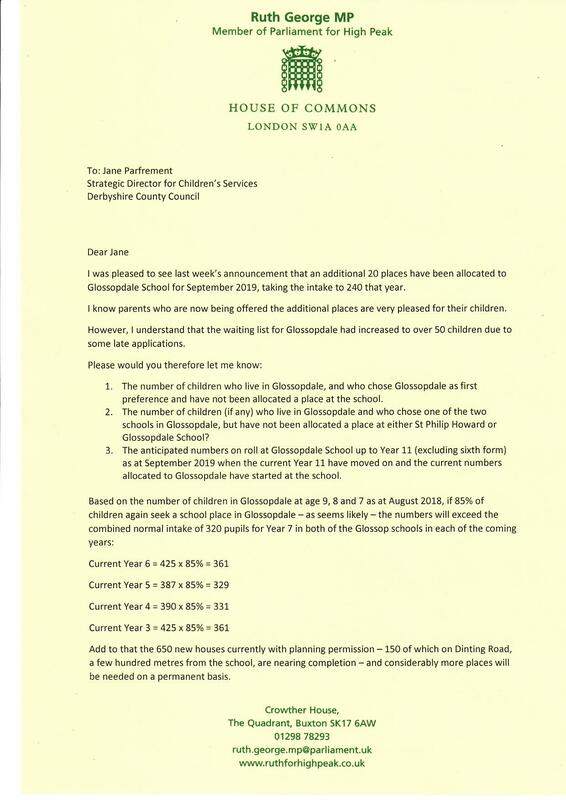 High Peak MP Ruth George has welcomed news that the county council has created another 20 places at Glossopdale School from September, following pressure from local parents. 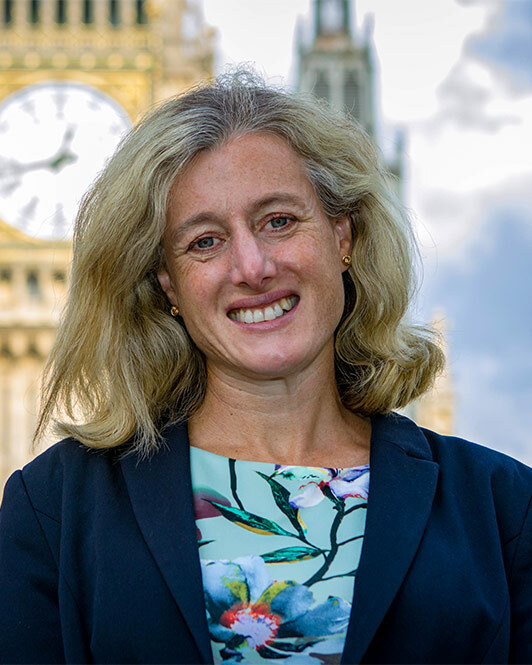 Ruth said: “While I am delighted that local pressure has paid off – there are still around 30 families who have been told they must go through the appeals process, which can take several weeks and is very unsettling. 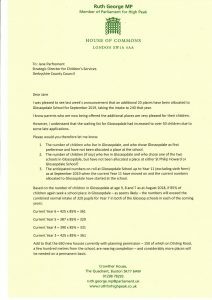 “I hope that no Glossop children will be forced to a school outside of their home town, but I urge parents to let me know if local families still face difficulties as I’m here to support you. 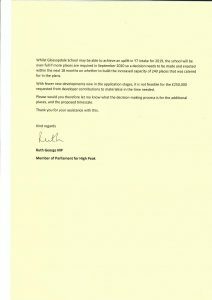 “Lots of parents contacted me, very upset that their child had not been allocated a place at Glossopdale School, despite their being in the catchment area. I’m pleased the newly built school is popular but I know how unsettling it can be for children facing a long journey to a school they didn’t choose, or being separated from friends. 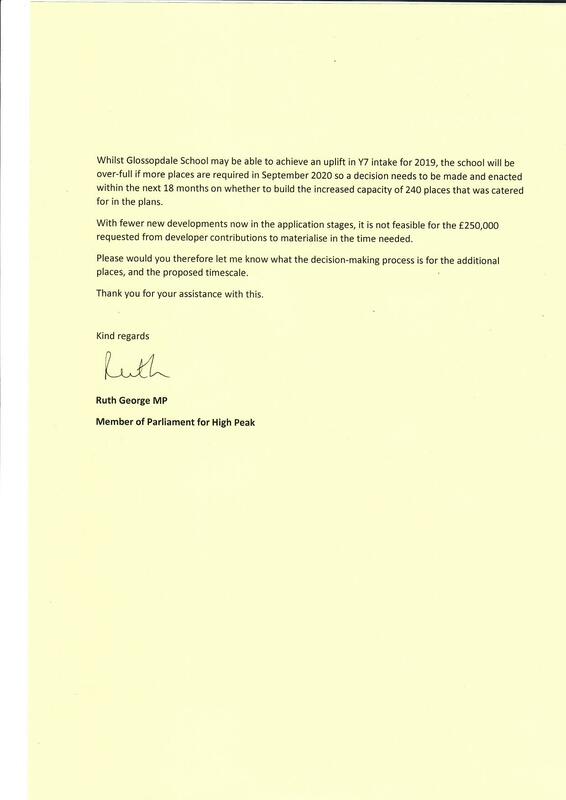 “So, have written to Derbyshire County Council again to press to more places to be made available in the future as Glossopdale School was designed with space for an additional 240 places to be added to the current site.